According to a recent IBM survey of more than 1,500 CEOs from 60 countries and 33 industries worldwide, chief executives believe creativity is the most vital leadership competency in successfully navigating an increasingly complex world. If you are wondering which garden cultivates this seed called creativity, I would say it is your mind. The seed is there in all of us. Some water it on a regular basis and that occasionally produces a bloom. Many of you must have seen the Oscar winning movie "'The Artist'. I immensely liked it. It is a stylish, brave and an outstanding creative attempt at movie making. I believe that true creativity is acquired when the piece is truly out of the box, and truly unique for its time. It is often our "good sense" that defeats creativity. 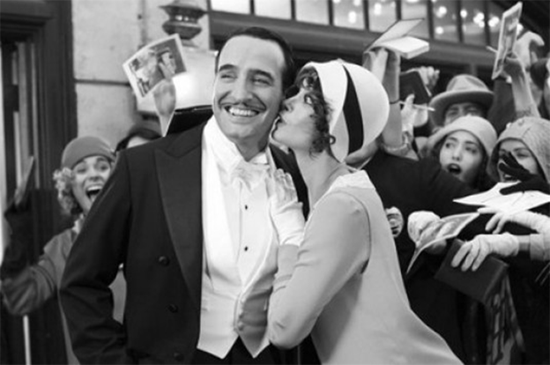 If the director used his "good sense" and thought that there is no scope for a black and white silent movie in this colorful era, we wouldn't have a film like 'The Artist'. Creativity often comes out of illogical thinking. When every novelist wrote big tomes chronicling the saga of its characters from birth to death, a novelist named James Joyce used a technique called 'Stream of consciousness' to depict just one day in the life of Stephen Dedalus, a medical student. In stream of consciousness writing, the thoughts and feelings of a character are presented as they happen from moment to moment, like an impromptu writing of thoughts and feelings. 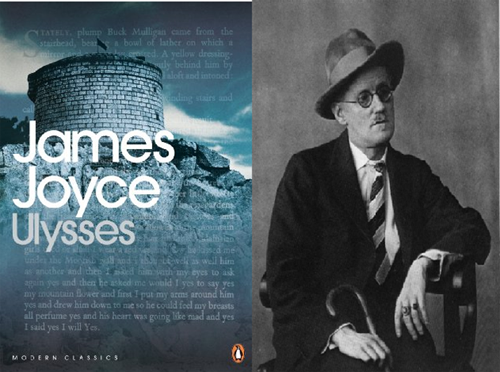 As a result, there is a rare excitement, freshness, vivacity and novelty when you read his novel 'Ulysses'. When every great classical composers composed mighty symphonies, a French composer named Claude Debussy gave birth to what is known as impressionistic music which was at once daring, dreamy and dazzling like the play of patterns of light. He sought to capture and crystallize the light, color and texture of a particular moment and thus his music comes as ethereal and evocative. Think of the evolution of Jazz music through its great proponents like Miles Davis, John Coltrane, Wynton Marsalis, Wayne Shorter, Grant Green, Oliver Nelson and Charles Mingus. The art form of jazz celebrates individuality. Jazz musicians have a long history of introducing new ideas: new forms, new techniques, new sources, and new styles. They have found new ways to play their instruments, new ways to establish unique identities, and they have both expanded and re-invented their roles. The very cornerstone of Jazz demands spontaneous creativity or 'instant innovation' from every jazz player every time he performs. In fact, when you examine the world of jazz you will find a culture and a model that has been, and remains a hot bed of innovation. That is why their music is a big canvass of creativity. 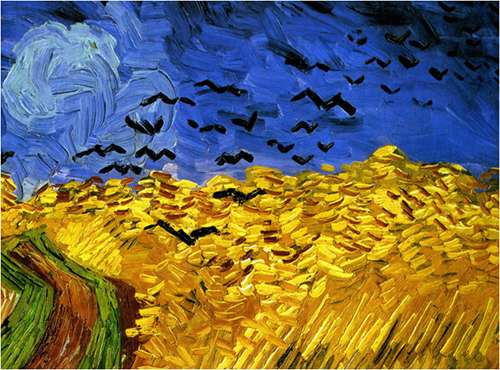 When people painted pictures like photographs, an artist named Vincent Van Gogh broke traditions and used bright, bold colors and short brush strokes, notable for its rough beauty, emotional honesty, which later came to be known as the post impressionism in painting. "Creativity is just connecting dots", that is what Steve Jobs, one of the greatest creative minds of this century said. Unless we take effort to connect the seemingly unfamiliar to produce something magical, our life is mundane. The Russian glasnost that led to the collapse of communism was nothing more than the political creativity of Gorbashev. As Einstein said "We cannot solve the problems of today by the same thinking that created these problems in the first place". So we need a creative approach whether dealing with problems in art, politics or science. In our zeal to create a seamless flow through our days, we're in danger of losing something precious: the delights of the unexpected detours. Taking a lot of deviations and detours from your normal journey, from your normal thought process is the key to creativity. An interruption can sometimes generate a new thought process. If a person can't read or write, don't assume that he is incapable of it. It is just that he or she hasn't learned how to do it. The same is true of creativity. When people say they're not creative, it's often because they don't know what's involved or how creativity works in practice. Your imagination is the key and the very gateway of your reality. Release any sense of despair or despondency that you might have, they’re just energy drainers, leaving us feeling trapped or helpless. Reclaim your creative self…step out in trust and faith and you’ll move into a space of enthusiasm, excitement, hope and exhilaration. Embrace your creative potential and develop a creativity mindset to achieve success. As we embrace our creativity, we become more in tune with the infinite and feel blessed. Maybe you’re no Shakespeare or Van Gogh, but the story of your life is written by your thoughts and beliefs and feelings…funny, we already have all the tools we need. I believe we are all creative. I believe we have the power to live a life filled with creative freedom, joy, and true authenticity and are capable of expressing our creativity to the fullest potential. Whether you paint, sign, act, design, sculpt, write, compose, cook, or construct…have a bit of a creativity in your mindset and that is the start of a meaningful life. 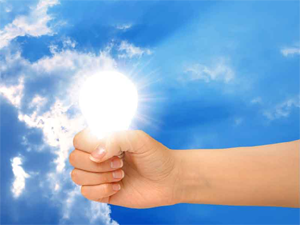 The spirit of creativity is a flame burning brightly within all of us. Fan That Flame of Creativity Within You. Ironically, nowhere in this article is there even a passing mention of the Creator, next whom our creativity, itself a propensity of creatures, is a virtual manifestation, since even this owes to the Creator! The phenomenon of exclusion of God the Creator from the world by creatures owes to apparent reduction to nothingness of the Source of all creation, and the relativism of creativity as a quality of creatures, in which they, as creatures, yet appear as creators. The exclusion of God the Creator from His creation is due no doubt to his apparent invisibility to perception, which is to be expected, since perception of God, as being in its lack the proof to many of God's lack of existence - 'Where is God?' or 'He isn't in outer space.’ - would be surely to make of God a creature in his own creation! We take existence itself for granted. But it is a curious thing when examined, and sheds some light on the mystery of God. Firstly, existence is the property of a given thing - say, a tree. But the tree could never exist without contextual definition of it, which defines its existence; I am talking here of basic contextual presence of soil, air, gravity, sunlight, without which could stand no tree. Thus it is in the nature of existence that it is contextual, context being at once distinct from the form as yet defining it in existence. This nature of existence gives us an insight into God the Creator; In God's existence, God is Context, Form and Spirit (spirit being the rapport between context and form, as between a tree and its context) which three aspects occasion the act of the Divine act of existence, such as is manifested in the created act of existence. The three aspects of the one existence of God is termed the Trinity. Thus God does not exist, but is the form of existence itself, of which created existence is a manifestation. The process form of created existence manifests the Divine procession, in which the Form or Son is eternally ‘begotten’ in the Context or Father and sustained in affection in the Spirit, or Holy Spirit. We see an affective process generating forms in the created existence. I return to the creativity of man discussed in the article, but to indicate its source in the creativity of God, and since man is a creature, manifesting the creativity of God. If we see this link, expressed in the form of existence itself, between the Creator and the created, or the creature, we must surely attribute all praise and recognition to artists and poets and musicians, as creatures, as being owed to their Creator; this is the concept, now almost defunct, of ‘giving glory to God in all things’, whereby we acknowledge our own creature powers are, in principle, as nothingness to the powers of the Creator, and are merely instruments of manifestation of the, in principle, infinite excellence of God, in Whom alone we should rejoice. It is thus of the prime importance of creature man to thus recognise and thank and praise and worship the Divine Creator merely shadowed in the works of creatures. It is not to see in the works of creatures, of art and music and literature, the peak of excellence, as sadly, the creative works of man often appear to enshrine when God is excluded.